Jane Gloriana Villanueva (Gina Rodriguez) is back on television, and guess what? She’s on a date with Scott McCall… er… we mean Adam The Virgo. 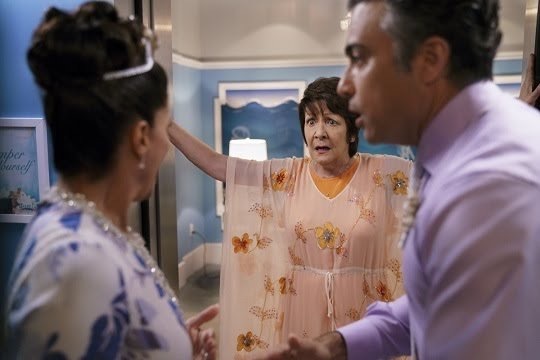 The season 4 premiere of the award winning hit series Jane The Virgin opens exactly where we were left off: Jane and Adam’s encounter at The Marbella Hotel. Adam (played by guest star Tyler Posey) is a graphic illustrator and was Jane’s first true telenovela love. They were engaged at 19, but Adam had to call it quits to focus on his career. Adam got into NYU and had dreams for himself, which, Jane, sadly, was a not part of. Meanwhile in the present, their paths collide once again when Jane seeks to collect the love letter that Michael hid before he passed, which apparently, Adam had, him being a former tenant in Jane and Michael’s apartment. He found the letter under a loose wooden floor tile, gave it a quick read, andrealized that it was addressed to a “Jane,” decided to put in his wallet for safekeeping — just in case it might be the “Jane“ he once was engaged to. Their encounter stirred up a lot of emotions and we are only on the first episode, my friends. Fast forward, they went skinny-dipping after a short talk on the beach, but while love may have been in the night sky, luck was not so much on their side. Xiomara (Andrea Navedo), Rogelio (Jaime Camil) and Alba (Ivonne Coll) spot the two from their hotel room balcony. Matteo, in the background, having misunderstood the situation goes full on hero mode. All three grandparents hit the beach and, once again, Jane’s sexual encounter was #cancelled. Season 4 premiere of Jane The Virgin tackled some real “daddy issues.” too. Raphael De La Vega (Justin Baldoni) went broke and homeless after Dra. Luisa Alver (Yana Martinez), his lunatic of a sister, took claim over The Marbella Hotel. The Villanuevas volunteered to take Raphael under their wing, leaving them to adjust to his “rich-person-behavior” (as per Jane.) 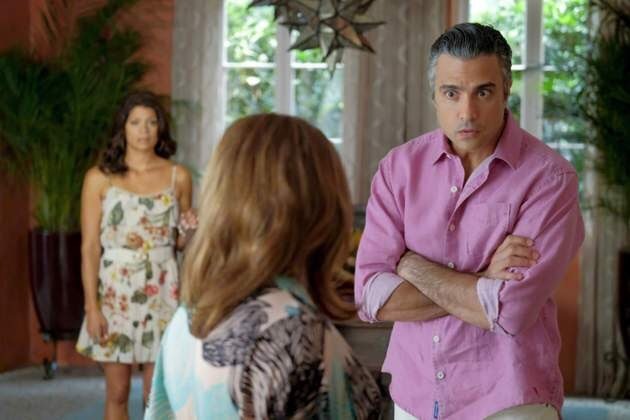 Rogelio continues the struggle over custody of unborn child with Darci Foster (guest star Justina Machado), but Darci is clearly too smart for him. Rogelio decides to go face-to-face with Darci and while arguing, Darci goes into labor, leaving us more things to anticipate this season. What did you think of Adam The Virgo? Oh, and we have two narrators now; One for Adam and one for Jane. Jane The Virgin is on the CW Network every Friday at 9:00 p.m., and on Sony Channel Asia every Monday at 8:50 p.m. Previous seasons are now streaming on Netflix.